The Uranium Corporation of India Limited (UCIL) will not give up the move to mine uranium in Meghalaya, even though it has decided to shut down its offices in the state temporarily. Requesting the staff to cooperate by vacating the UCIL offices in Meghalaya and shift all its materials from the offices, the UCIL’s letter also warned the staff that any hindrance would be viewed seriously, and penalty will be imposed. On August 1, the Atomic Minerals Directorate had announced its decision to stop exploratory drilling in uranium-rich deposits South West Khasi Hills district. The AMD’s decision came after its officials were attacked and machines used for taking sub surface samples were also set on fire on July 25. The plan to discontinue exploratory works was informed by AMD regional director, Sandeep Hamilton and deputy regional director, Rahul Banerjee after they had a meeting with the Khasi Hills Autonomous District Council on August 1. 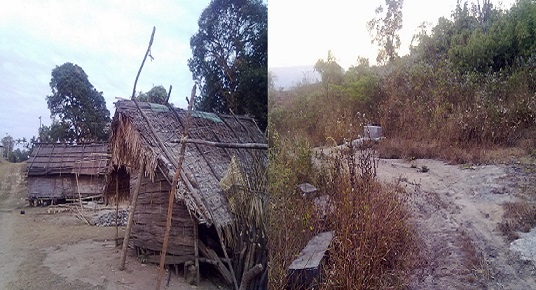 The Uranium Corporation of India Limited (UCIL) has been waiting for necessary permission to start the Kylleng-Pyndengsohïong-Mawthabah (KMP) project in South West Khasi Hills district for the past many years. Various anti uranium groups opposed the UCIL plan to mine uranium in the state.